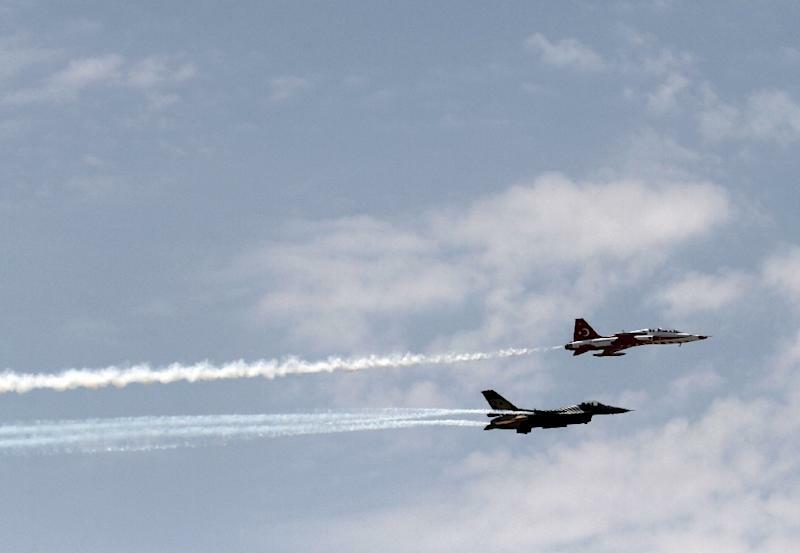 Ankara (AFP) - Turkish warplanes have carried out a new wave of air strikes on northern Iraq in the latest assault on suspected targets of the outlawed Kurdistan Workers' Party (PKK), the army said Saturday. Shelters and supply points of the PKK in northern Iraq, including its Qandil mountain stronghold, in the raids late Friday, it said. The military did not give further details but the state-run Anatolia news agency said the operation involved 22 fighter jets and that 23 targets were hit. Turkey has for four months been waging a relentless campaign against the PKK in the country's southeast and in northern Iraq, while the group has ended a ceasefire it had declared in 2013. The PKK has waged a three-decade insurgency that has claimed tens of thousands of lives, initially seeking independence for Kurdish-populated Turkey although now the focus has shifted to seeking greater rights for the Kurdish minority.